If there is a state where the electoral picture is completely blurred, it is Maharashtra. With 48 seats (50 if you count the two in Goa) this western state is carved into so many enclaves, feudal principalities and caste interests that it is hard to predict if the Bharatiya Janata Party (BJP)-Shiv Sena (SS) combine will do well or not. In 2019, the two had contested together and had won 42 out of 48 seats (23+18). In the assembly elections, they contested separately. The Sena’s animus against the BJP, leading up to present day when the two have teamed up again, is no secret. Additionally, there are smaller parties which have a presence in pockets. 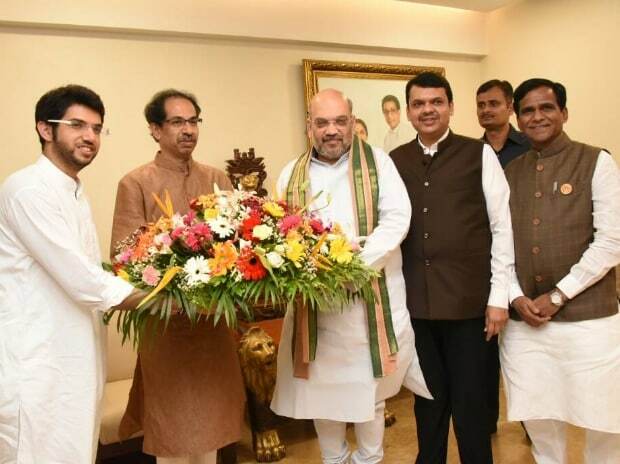 The poorer cousin (literally) of the Sena, the Maharashtra Navnirman Sena (MNS) led by Uddhav Thackeray’s cousin Raj, had some presence in urban centres. In 2009, the MNS had walked away with a sizeable share of votes from Mumbai, Thane and Nashik that had led to the defeat of BJP-Sena candidates there. This worked in favour of the Congress-Nationalist Congress Party (NCP) alliance which won all six seats in Mumbai and some in Thane, Nashik and Pune district. But this is 2019 and the Congress has declared it will have no truck with the MNS. So it is on its own. It has taken a bitterly anti-BJP-SS position. It is not clear to whom its vote will go. Then there is the umbrella organization of Dalit parties, the Vanchit Bahujan Aghadi (VBA). Surely it can only hurt the Congress alliance? It is led by Prakash Ambedkar, former Member of Parliament and grandson of Babasaheb Ambedkar. He had been leading the Bharatiya Republican Bahujan Mahasangh (Bharip Bahujan) till recently. But with the announcement to join hands with the Asaduddin Owaisi-led All India Majlis-e-Ittehadul Muslimeen (AIMIM), Ambedkar is determined to change the course of politics in the state. Maharashtra has a strong history of Dalit assertion which recently saw a backlash in the form of Maratha protests (mook morcha or silent marches) all over the state in protest against the excesses of the statutory legal rights of Dalits against caste discrimination. All this has strengthened Dalit sentiment against the BJP, specifically the BJP position on the Bhima-Koregaon incident in 2018 that really angered the community. Dalits are between 12 and 14 per cent of the vote in Maharashtra. If you add Muslims, this becomes a huge chunk. Organised properly and mobilized, it could become a big threat to both the Congress and the BJP. If not, and if internal caste contradictions are allowed to rule, the BJP-Sena could be a net gainer. The BJP-Sena contradictions also stand out. The two parties are contesting in the ratio of 25 and 23. There are no others in the alliance. Will people forget all the venom that Sena has spewed against the BJP? Won’t the party’s credibility be affected by the background of strain: after all this is the same party which added its voice to the demand by Rahul Gandhi that the Rafale probe must be referred to a Joint Parliamentary Committee and must include the PM who should be investigated for corruption ? Senior Sangh sympathizer Pramod Pathak is based in Nashik and is a former journalist. He believes despite all the tortuous political contortions by the Sena, it has a single factor going for it: it has grown itself in rural Maharashtra. He attributes this to Uddhav Thackeray’s leadership. By contrast, the Congress-NCP alliance is decrepit and has few known, popular faces. The politics of clans and the demand that sons (and daughters) be fielded is classic politics of entitlement. Most of the younger leaders, especially in the NCP have nothing to show by way of work among the people. Even a towering leader like Sharad Pawar has fallen a victim to this. He has withdrawn from the electoral contest in Madha because he was not sure at all if he will win the seat: this is the sense many senior leaders who have met him recently got. He has proudly said that victory and defeat are irrelevant to him at this stage in life. But he has also said that it would be awkward to have so many from the same family contesting elections: which is its own comment. What does all this suggest? In the politically crucial states of Maharashtra-Goa, the BJP-Sena should be expected to return. And what does that tell us? That what you say is sometimes less important in politics than what you do.